THE CONSTITUTION DOESN’T CARE HOW MUCH HARM GUNS CAUSE, AND THAT IS A GOOD THING. Are You Liable for a Passthrough or Missed Shot? This is part two of a five-part article series discussing the merits of, and debunking, arguments in favor of further gun control. You can read article one here. Preface: This article is intended to make a logic driven argument, supported by evidence and reason, that teachers, faculty and administrators should be allowed to take individual accountability for their safety, and the safety of those in their classrooms. The reality is, short of dispatching with evil there is no good solution to this problem. There are two terms often used when discussing mass shootings, “stop” and “prevent”. Those terms are not synonymous in this context. Prevention of mass shootings is a social science discussion that involves a potentially infinite number of variables. I am not qualified to speak on that topic, therefore I won’t. Stopping mass shootings, however, entails a discussion of how to quickly and decisively end a violent attack on our schools, a much more reactive analysis. In that regard I am qualified to speak, and that is the only topic discussed in this article. I am a college professor. I am a parent of small children who I drop off at school daily. I have hundreds of other people’s children in my college classes each semester. I care a great deal about my students. I understand this issue, much more than most. I take it seriously. 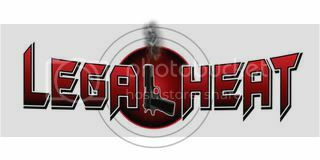 I am also a firearm instructor and armed security guard instructor, who has spent the last decade running one of the largest civilian firearm training companies in America, instructing over 150,000 people in nearly 30 states in our training courses. I understand many others, roughly half of our country, feel differently than I do about this issue, and have different backgrounds than I do. Cognitive bias and confirmation bias are real. We all want to hear viewpoints that agree with us, and that includes me. Einstein, while pondering why people think the way they do, noted that people find difficulty understanding new concepts “when an experience comes into conflict with a world of concepts already sufficiently fixed within us.” My hope in this article is to address this issue, which affects us all, in a way that invokes a pensive discussion and sparks a desire to look outside the status quo world of concepts. I am not writing this for people who agree with me, I am writing it for those who don’t. I will not use intentionally inflammatory language, nor will I make reference to any political parties or cast mass judgments. Our society is beginning to view screaming at someone with differing views, in an attempt to silence them, as acceptable discourse. It is not. We must be better than that. Please consider what I have written below, and respond with your thoughts. I will welcome hearing differing, civil, views. Synopsis: Training A Relatively Small Percentage Of Teachers To Obtain A Variety Of Skills, Including First-Aid, Tactical Firearm Skills, And Threat Assessment, In The Same Manner Armed Security, Law Enforcement And Airline Pilots Are Currently Trained, Would Be A Cost Effective And Practical Step To Curb Mass Shootings In American Schools. Related Gun Control Argument: Guns have no place in education. Our students shouldn’t have to worry about guns while learning. A teacher is more likely to harm a student than stop a bad guy. Teachers aren’t capable of stopping bad guys. More guns won’t solve this problem. A system should be established to enable faculty, staff and administrators who possess the proper certifications and training to carry firearms at their place of employment. Anything less than the above is a violation of the fundamental rights of those who work in education. You cannot strip millions of Americans of their right to defend themselves, and provide no alternative to ensure their safety. Such a course is illogical. Such a course violates the most basic of civil rights. Such a course is destined to see a continuation of the destruction we are currently seeing. Security screenings, like those in post 9-11 airports are staggeringly expensive. Costing roughly 8 billion dollars annually, and failing to detect threats roughly 95% of the time, one can question the viability or efficacy of rolling out a similar program for our schools. With nearly twenty times more public schools in America than airports, and with education spending a constant political issue, we can assume an expenditure of $160 billion to install airport style security in our schools is not something we will see. Simple magnetometers and lock down protocols, such as those commonly used by courthouses and sports arenas are a much more cost-effective alternative. However, given the nature of most school campuses (including colleges) where students are routinely leaving buildings and reentering buildings in a rush to get to their next class, the practicality of a metal detector search across all schools is dubious. It could certainly be installed in many schools, likely with great deterrent effect, but it is not a practical solution across the board (including at the institution where I teach). The Washington Post analyzed the cost of training and arming educators, estimating the cost of doing so with 20% of our educators (or 718,000 individuals) at between $718 million to $1 billion. That number assumes that there would not be a centralized training system for all educators, at a central location, like we have for our airline pilots (discussed more below). It also assumes that all of these educators would need to be trained from a starting point of zero, something that is unlikely and also discussed below. However, assuming the cost estimates are true, as outlined below, training and arming educators is still a significantly cheaper and more practical option to stop (not necessarily prevent) school shootings than airport style security screening. In 2018 there are 3,160,000 public school teachers in primary and secondary schools, and 1.5 million college professors, resulting in an estimated 4.7 million educators at public institutions. This number does not include any support staff, administration and other employees of these institutions, which would likely triple or quadruple that number. One can logically assume that educator pool of 4.7 million is comprised of a very diverse group of individuals, with a wide array of backgrounds and skills. One thing all of them have in common, however, is a disproportionally clean criminal background. It is impossible to accurately estimate how many of these individuals would be of the nature qualified, and willing, to carry a firearm safely and efficiently. We can assume many of those with past military and law enforcement experience would have sufficiently demonstrated that capability. The number of former military and law enforcement working in education is not tracked, but it is safe to assume a not-insignificant number of them work in education (some studies show a fourfold increase in vets working in education in recent years). In addition to military and law enforcement, of course, you also have a large demographic of educators who possess significant skills and training in firearms, but have never been in the military or law enforcement. I, for example, have been a firearm instructor for over a decade, and an armed security guard instructor, and have either taught or been a student in well over 3,000 hours of formal firearm training courses. To put that into perspective, it takes roughly 700 hours of training to become a police officer. I have had hundreds of current and former police officers come to my courses to further their training (which is admirable and humbling). I do not classify myself as a tactical expert, and certainly not a “gun fighter”, but my training and sound skill set with a firearm is not something that can be easily disregarded. None of the other college professors in my department know of my background, and my situation can be logically extended to a large number of other individuals working in education. Given that, it is difficult to estimate the total number of educators who might possess the skills and training necessary to act as sentries at our schools. To assume there are not a significant number of them, however, is irrational. What the apparently blissfully amused Dr. Hemenway fails to identify, however, is that we did almost that exact thing after 9-11, and we haven’t had a hijacking since. No, we didn’t “[g]ive all the passengers guns”, instead we instituted a volunteer training program for our pilots and created a pathway for them to carry firearms on planes so long as they demonstrated sufficient skill and safety, as well as passed the amplified background checks. Throughout most of American history Airline pilots have always been allowed to carry firearms on planes, except for a brief period between 1988-2002, during which time security of airports became more centralized and firearm regulations on planes more rigorous and, related or not to this policy, the 9-11 attack occurred. In 2002, in response to 9-11, Congress reauthorized (formally this time) pilots to carry firearms and allocated up to 900 million to train up to 85,000 volunteer airline pilots at a facility in Artesia, New Mexico (roughly $10,500 per pilot). To date, roughly 13,800 pilots are estimated to have completed the six-day training and are currently carrying firearms. That is roughly 10% of the overall pilot population. It is notable that airline pilots are required to travel to the training at their own cost, and take the time off work without pay (foregoing upwards of $2,000 in pay). This willingness to make this sacrifice represents an unanticipated desire by pilots to provide for their own safety, as well as that of the passengers. It is not difficult, even for the most biased mind, to draw an analogy between our teachers and our pilots. Both are put in charge of groups of people (ranging in number from 30-200) for a number of hours each day. Both are subject to pre-hire background checks and must demonstrate a sound psychological mindset. Both are charged with dealing with unruly individuals in their sphere, and both are given broad discretion on how to deal with high stress situations. Pilots are the metaphorical teachers of the sky. No, it is not an exact analogy, but it is not far off. By all accounts the armed airline pilot program has been a success. No, a pilot has not had to use their weapon to stop a hijacker yet, but that is precisely the point. Avoiding and deterring a violent attack is the best way to defeat an attacker. Knowing this, why could the process used to train airline pilots not be adapted, expanded, and rolled out to our educators? It has certainly worked flawlessly in Utah schools. Many engaged in this debate would be surprised to learn that we have at least 14 years (and as many as 26 years) of empirical data we can study to find out what would happen if educators were allowed to possess guns in schools. During its 2004 General Session, the Utah Legislature passed Utah Code section 63–98–102, a statute prohibiting state and local entities from enacting or enforcing any ordinance, regulation, rule, or policy that in “any way inhibits or restricts the possession or use of firearms on either public or private property.” This law change explicitly prohibited public schools from preventing anyone with a Utah concealed firearm permit from carrying a firearm, in any manner, onto any public school property (kindergarten through college). Since that time thousands of educators, staff and even legal-age college students have carried their firearms onto Utah schools daily. At least 253,404 people in Utah have concealed firearm permits (or roughly 11% of the adult population). There are 175,000 college students in Utah, and another 60,000 college faculty and staff, resulting in roughly 235,000 adults on Utah public college campuses each day. Carrying those numbers forward, and recognizing this is not an exact calculation, it is logical to assume as many as 23,000 people on Utah college campuses are licensed to carry firearms every day. That is not an insignificant number, and it says nothing for the number of faculty and staff carrying in Utah elementary and secondary schools. Despite that very high number, and knowing this has been the case for at least 14 years, Utah college campuses have seen zero shootings in that time period. Wow! How can this possibly be ignored? In a national debate where this exact topic is being discussed, how can anyone with intellectual integrity disregard 14 years of empirical data on the exact subject they are debating? If cognitive bias were a band of gorillas, ignoring this is King Kong beating his chest on top of the Empire State Building. The doomsday projections of what would happen if we allowed educators (and even college students) to carry firearms must, if they are to be intellectually honest, acknowledge that they have come to fruition not once in Utah during the past 14 years of real-world experimentation. Like Utah, several other states including Colorado (and more recently Texas) have seen similar non-doomsday results of allowing firearms on school campuses. That’s not to say Utah has not had a mass shooting, it’s just the shooter selected a small mall, and not a school, for his target. The reason why the shooter made this decision, however, is worth discussing. On February 12, 2007, a lone terrorist entered Trolley Square Mall with a pump action shotgun and a .38 special revolver (two firearms that do not fit the traditional gun-control narrative). After killing five victims the shooter was engaged by an off-duty police officer in plain clothes named Ken Hammond. Ken exchanged gunfire with the shooter, not striking him, but drawing his attention away to give others the chance to retreat. The total duration of the shooting lasted 6 minutes. It is key to this discussion, however, to note that the University of Utah is less than 3 miles from Trolley Square Mall. I was one of the 32,000 students attending the University of Utah that day, it was a Monday. Trolley Square Mall is a very small mall, comparative to other malls in Salt Lake. Why would the shooter not have chosen the University of Utah campus or the much larger Gateway Mall for his target? 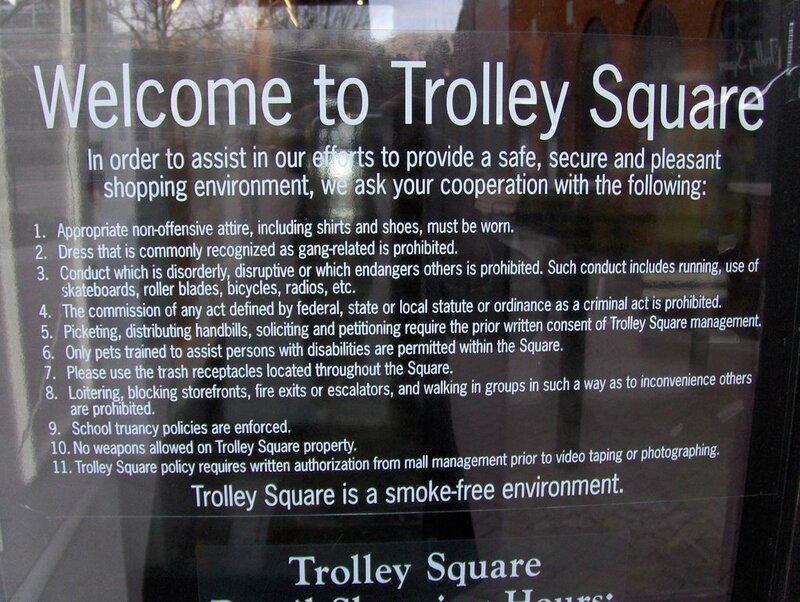 We will never know his true motive, but it is worth noting that unlike the University of Utah and the larger malls in the area, Trolley Square Mall had a large sign posted at each entrance prohibiting firearms on the property (click here to see the sign). A news broadcast that night featured a witness who stated something to the effect, “I saw the shooter. I looked for something to throw at him, but all I could find was a stool.” It could very well be mere chance that the shooter happened to choose the one high traffic location in Salt Lake City where firearms were overtly prohibited without any security, but it could also be very much correlated. Perform a professional security assessment of American schools. Determine which schools would be good candidates for magnetometer searches and security screenings. Establish magnetometers and security screenings at schools where the logistics of the buildings allow doing so. Immediately establish a robust training and mental health screening process to certify educators and staff to carry firearms on school campuses where magnetometers are not an option, in a similar way airline pilots are currently trained. Implement any and all other reasonably calculated societal changes needed to curb the mental health crises and make our children safer, so long as those changes respect the inalienable fundamental rights of the citizens. Conclusion: Based on the foregoing, allowing a small demographic of trained and voluntary participants to carry firearms during the regular course of employment is the most cost-effective and practical solution to respond to an active school shooting. Great article. Can I pass it on to my local News Paper ? The Utah case is an amazing story, and it pro ves that teachers and staff can be trained to protect themselves and the students. Keep up the good work. Our Constitution, through the Second Amendment in particular, already “allows” teachers, administrators, and school janitors to carry concealed, or openly, including high-power rifles of their own. The only thing required for controlling criminal nut cases is to not babysit and second-guess ordinary common-sense armed citizens regarding the defense of themselves and the children around them. The more the innocent are disarmed and consequently murdered, the more the aspiring political dictators amongst us are gratified to see the criminal psychos as virtual puppets are thereby enabled to further the original ulterior motive political agenda. Parts of this effort across time have included promoting abortion, which trends people into thinking child slaughter is OK, and permissive drug policies which further statistically ensure demented outliers will spasmodically provide convenient excuses for clamping down on the rights of the 99.99% law-abiding population. Aspiring dictator wolves love nothing so much as pretexts, and the opportunity to engineer them while feigning love and protection to the trusting gullible sheep destined to suffer the most. The proven success of the Utah Model is very instructive, and it needs to be more widely proclaimed and advocated to educate the other 49 states.